Bell Gorge Wilderness Lodge boasts an enviable position, with expansive views of the King Leopold escarpment. Located just off the Gibb River Road and close to the Imintji Aboriginal Community, the lodge enjoys its prime Indigneous-owned site, close to some of the West Kimberley's most beautiful gorges. APT Wilderness Lodges offer a touch of luxury in the heart of the wilderness. Eliminate the hassles from your self-drive Kimberley adventure, staying in a twin tented cabin complete with spacious ensuite, hot shower and flushing toilet. A private front deck, is the perfect place to take in the magnificent sunsets and sunrises. 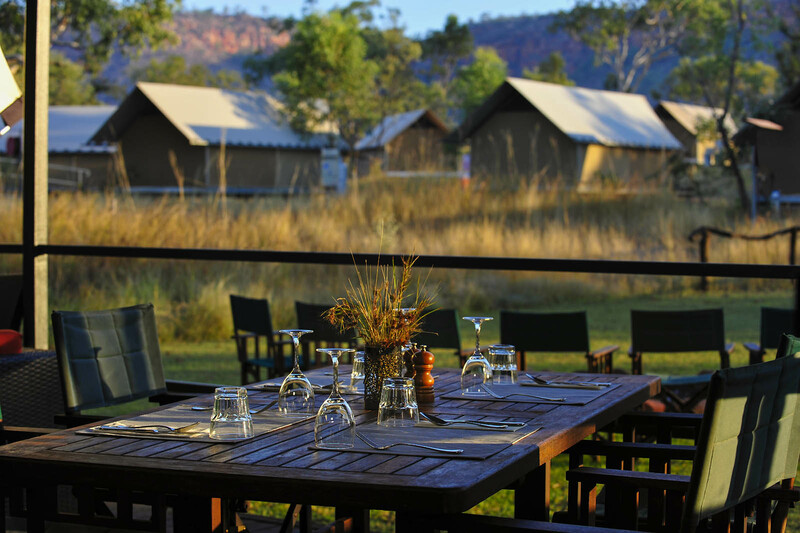 With easy access to Bell, Galvans and Barnett River gorges, and close to Windjana Gorge and Tunnel Creek, Bell Gorge Wilderness Lodge is the perfect base for exploring the West Kimberley during your Outback adventure. The shady and picturesque lodge was built with the areas sensitive ecosystem in mind, and has been awarded an Advanced Ecotourism certification. Environmentally friendly, and blending into the surrounding scenery, Bell Gorge Wilderness Lodge ensures guests enjoy a relaxing and comfortable stay with the assurance they are leaving only a light footprint. Bell Gorge Wilderness Lodge offers Standard tented cabins with twin beds and private ensuites. 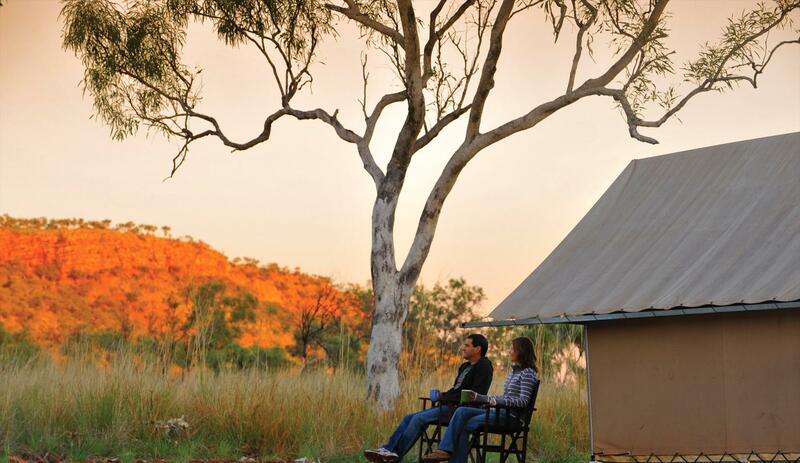 All feature a spacious front deck sporting comfortable chairs and amazing aspects across the King Leopold Ranges. Our exclusive Bell Gorge Wilderness Lodge offers you truly intimate accommodation in the wilderness. Each cabin is ideally positioned to provide a secluded spot for you to relax, and bask in the beauty of this ancient land, from the comfort of your very own private deck. You will experience wonderful hospitality from your friendly and knowledgeable APT Lodge Hosts, who will look after your every need during your stay. 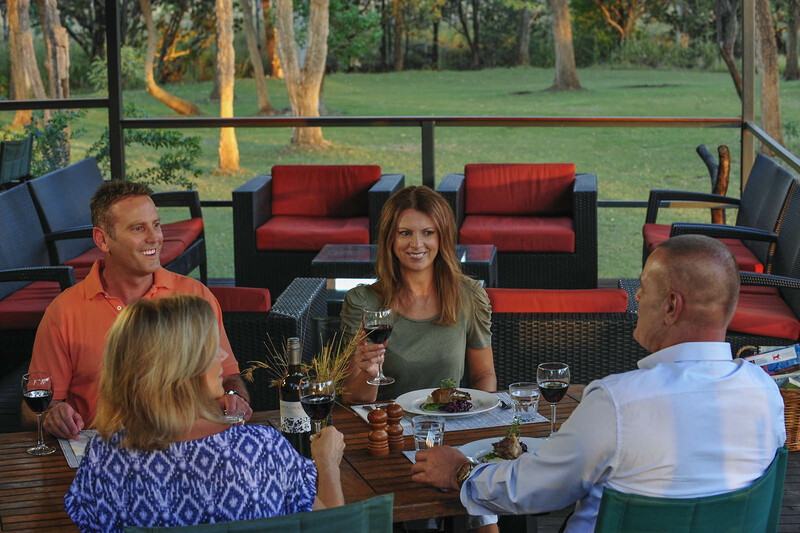 From helping you settle into your tented cabin to giving you tips on the best ways to enjoy the surrounds, our hosts truly endear themselves to guests.